The Mediation Support Unit, in the Policy and Mediation Division of the Department for Political and Peacebuilding Affairs (DPPA), together with the Norwegian Defence International Centre (NODEFIC) and the Swiss Federal Department of Foreign Affairs, jointly organises the annual Ceasefire Mediation Course. In 2019, this course will be held for the 8th time. 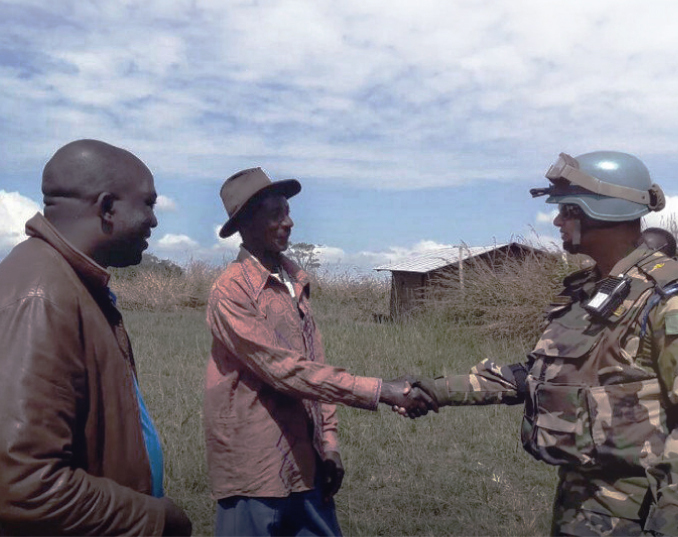 The courses are the culmination of a two-year research project on the protection of civilians from a mediation perspective, supported by funding from Canada. The inaugural training focused on a multi-faceted approach to ceasefire mediation by providing a deeper understanding of the political, military, humanitarian, gender as well as socio-economic dimensions of ceasefires. The course benefits greatly from trainers with extensive experience in the different dimensions of ceasefire mediation, including ceasefire/mediation experts such as Dr. Julian Hottinger, Brigadier-General (Ret) Jan-Erik Wilhelmsen and Mr. Jeffrey Mapendere, former Security Arrangements Expert on the United Nations Standby Team of Senior Mediation Advisers. The expertise of resource persons, including representatives from the Office for the Coordination of Humanitarian Affairs (OCHA) as well as DPPA enrich the training. The participants are made up of representatives from different parts of the UN system, Member States, and partner NGOs . The varied background of the participants – political, military, police, academic, media and legal affairs – contribute to the success of the training. The next course will take place in Oslo, 1-7 April 2019.